In Winter some additional warmth is often required or if there is no central heating system in place portable heaters are a great solution. Portable heaters are an energy efficient way of heating a small area in use and can easily be shifted from room to room as needed. They are ideal for bedrooms and living areas and are compact enough to be easily stored away. The Stadler Form Anna Ceramic Heater is ideal for additional heating under a desk or in a smaller space. It is equipped with a modern, PTC, self-regulating, ceramic heating element resulting in no overheating and automatic shut off due to the integrated tilt protection. The Anna is the winner of the 2013 Reddot Design Award and is designed in Switzerland. 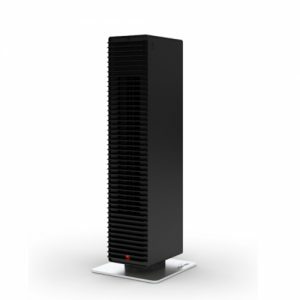 It has a slim housing which makes it the perfect portable heater for spaces with a modern design and has two heating levels, either 1200W or 2000W. Select the preferred temperature you wish to maintain using the thermostat. 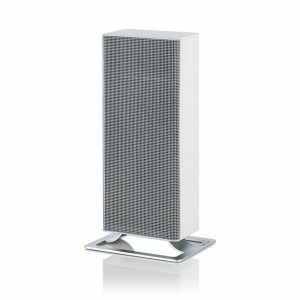 The Stadler Form Paul Fan Heaterk has a modern, compact form and was designed in Switzerland. Use the easy to operate touch panel or included remote control to select your preferred temperature from the range available and utilise the adaptive heat technology when on auto-mode to maintain that desired heat level. Rather than fluctuating by turning on and off as a standard heater would the Paul softly continues to operate to keep the space at your pre-selected temperature. In order to reach the set temperature you are able to choose from 8 heat output settings varying in energy use from 800W to 2000W. That's not all! It has a 2 in 1 Cooling/Heating function which allows for it to be used as a fan for additional cooling on those warm summer days when the heating mode is turned off!